Supervisory control and data acquisition (SCADA) systems are widely used to monitor and control operations in electrical power distribution facilities, oil and gas pipelines, water distribution systems and sewage treatment plants. Technological advances over the past decade have seen these traditionally closed systems become open and Internet-connected, which puts the service infrastructures at risk. 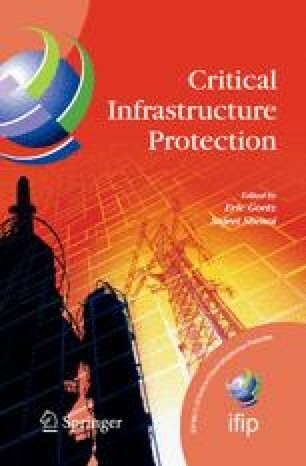 This paper examines the response to the 2000 SCADA security incident at Maroochy Water Services in Queensland, Australia. The lessons learned from this incident are useful for establishing academic and industry-based research agendas in SCADA security as well as for safeguarding critical infrastructure components. Australian Computer Emergency Response Team, 2004 Australian Computer Crime and Security Survey (www.auscert. org. au/render. html?it=2001), 2005. IT Security Advisory Group, SCADA security: Advice for CEOs, Depart- ment of Communications, Information Technology and the Arts, Canberra, Australia (www.dcita. gov. au/communications for business/security/criti cal infrastructure security/key documents), 2005. Riptech, Understanding SCADA system security vulnerabilities (www.iwar. org. uk/cip/resources/utilities/SCADAWhitepaperfinal1. pdf), 2001. J. Stamp, P. Campbell, J. DePoy, J. Dillinger and W. Young, Sustainable security for infrastructure SCADA, Sandia National Laboratories, Albu- querque, New Mexico (www.sandia. gov/scada/documents/SustainableSec urity. pdf), 2003. Symantec, Understanding SCADA system security vulnerabilities (www4. symantec. com/Vrt/offer?a id=20249), 2004.